“Congo” is loosely based on a best-selling novel by Michael Crichton, who has done his fair share of screen writing and directing on top of writing countless treasured books like “Jurassic Park” and “The Andromeda Strain.” However, the screenplay for “Congo” was written by John Patrick Shanley, an Academy Award winning writer who was behind “Moonstruck” and “Doubt.” Reportedly, Shanley didn’t read the source material, and wrote the screenplay more or less based on a simple synopsis of the story. 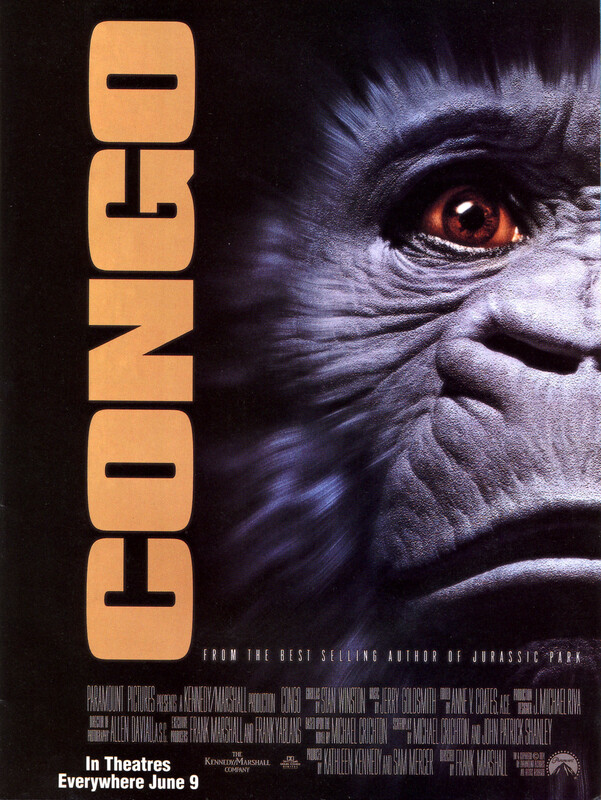 The cinematography for “Congo” was provided by Allen Daviau, who was Steven Spielberg’s go-to director of photography earlier in his career, giving him credits on films like “Amblin,” “The Color Purple,” “E.T.,” and “Empire of the Sun.” He also provided cinematography for “Van Helsing,” another film I have covered here on the blog. The music for “Congo” was composed by Jerry Goldsmith, who worked on scores for films like “Supergirl,” “Mulan,” “Alien,” “Small Soldiers,” and “Gremlins,” among countless others. Stan Winston was brought in to create the gorillas for “Congo,” specifically because of his impressive work on “Jurassic Park.” In fact, without his abilities showcased in “Jurassic Park,” “Congo” would likely have stayed in production limbo indefinitely, until effects could catch up enough to effectively replicate gorillas. 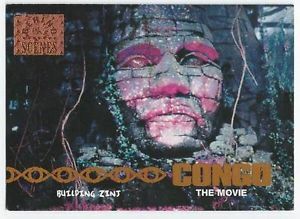 “Congo” features a pretty deep cast of actors, including Joe Don Baker (“Mitchell,” “Final Justice,” “Leonard Part 6”) Dylan Walsh (“Nip/Tuck”), Laura Linney (“The Truman Show”), Ernie Hudson (“Ghostbusters”), and Tim Curry (“It,” “Clue,” “McHale’s Navy”). 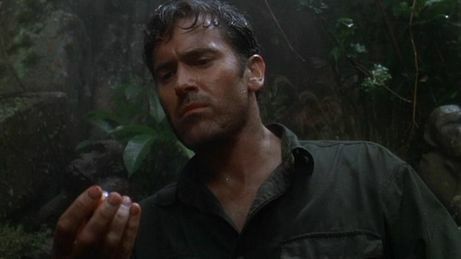 Beloved b-movie actor Bruce Campbell (“Evil Dead”) also makes a brief appearance in the opening of the movie, and absolutely kills it with his trademark charm before being dispatched by angry gorillas. The complicated story behind “Congo” involves a number of plots that converge in an expedition into the jungles of the Congo. A team of scientists is seeking to reintroduce a gorilla into the wild, while a number of other parties piggy-back on the operation in search of diamonds, a mythical monument, and a missing loved one. As you would expect, things quickly go awry for the team. Famous singer Jimmy Buffett appears briefly in the movie, portraying a pilot. Buffett is actually a trained pilot in real life, which I suppose qualified him for the role. The diamonds used in the production are actually quartz crystals called Herkimer Diamonds, which were the only believable and large enough stones available for the movie. They are very rare, and are only found in specific areas of New York. The crystal at the end of the film that is thrown away was reportedly actually lost, and is presumably still out there somewhere. “Congo” has a long production history, extending to before the novel was even published in 1980. The success and technical breakthroughs of “Jurassic Park” gave the incentive to get it off the ground, as previously there wasn’t enough confidence in the effects available to portray the apes. Unfortunately, the effects still weren’t advanced enough to handle portraying apes, due to the difficulties in replicating hair. 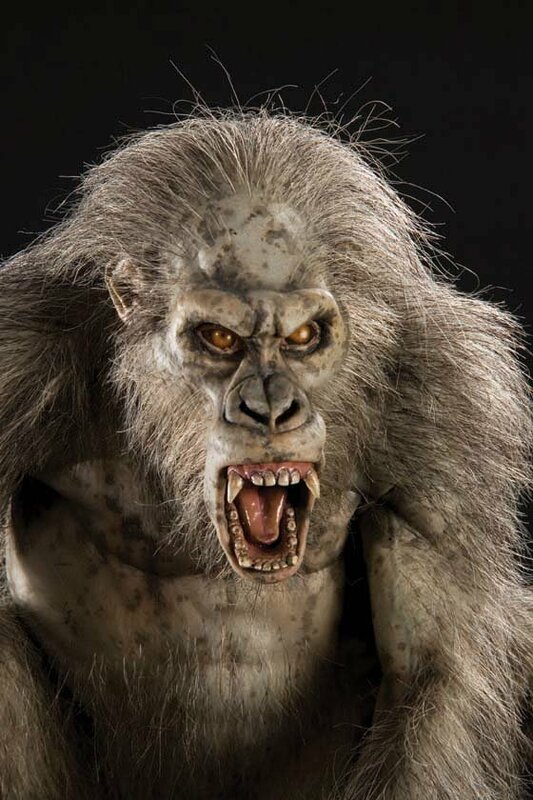 So, ultimately, gorilla suits and models were used anyway. The reception for the movie, however, was not so good. “Congo” currently has an IMDb score of 5.0, as well as Rotten Tomatoes rating of 22% (critics) and 29% (audience), making for a very poor reception across the board. “Congo” features a number of over-the-top accents which struck me as entirely unnecessary. 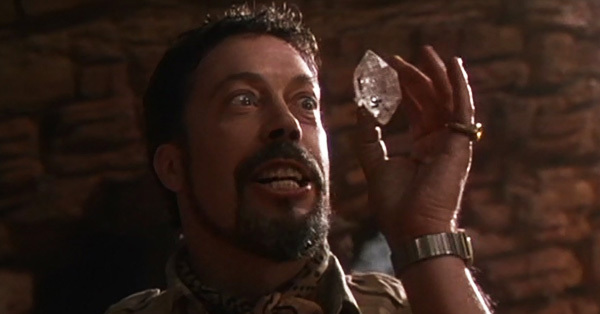 Tim Curry is by far the worst offender, but his faux-Romanian accent is at least entertaining and hammy. Ernie Hudson puts on a bit of an English accent that is also a bit amusing, but perhaps even more unnecessary for his character than Curry’s near-offensive Romanian. 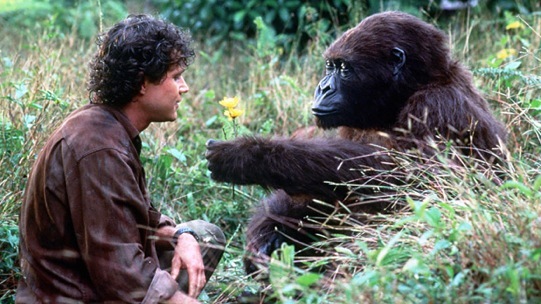 A number of the criticisms I have seen of “Congo” point out the apparently implied romance between Dylan Walsh and Amy the gorilla, which I think was intentional on some level. Both Amy and Walsh’s character were supposed to be sympathetic, and their bond was central to the story. However, particularly at the end of the film, it seemed like they pushed the relationship a bit too far and overt, and it just didn’t come off as well as hoped. Honestly, I think this is at least partly due to how Walsh played the character. I would be shocked if Campbell (who was also up for the role) wouldn’t have played the relationship as more brotherly or parental in comparison to Walsh’s teary-eyed romantic vibe. 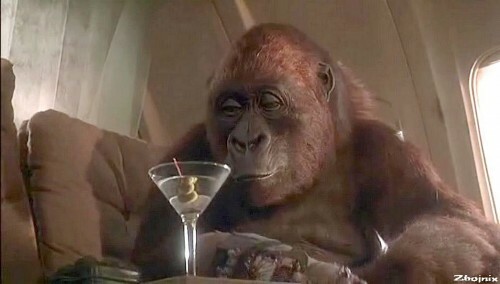 Speaking of which, I think “Congo” really suffers from not having enough Bruce Campbell or Joe Don Baker in the story. Both men have powerful presences and personalities, and steal every moment they are on screen. At the very least, having either of them on the main expedition would have made the film more entertaining to watch. I can’t very well not mention the diamond-powered “communication lasers” at the center of the plot. 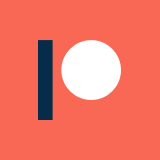 It obviously sounds fancy, interesting, and potentially insidious, but it just doesn’t make any sense. How exactly are lasers to be used for communication? Also, why are the lasers solely used as weapons when they are supposedly for “communications”? Was that intentional, and the purpose was to develop new military technology all along? It just isn’t clear. 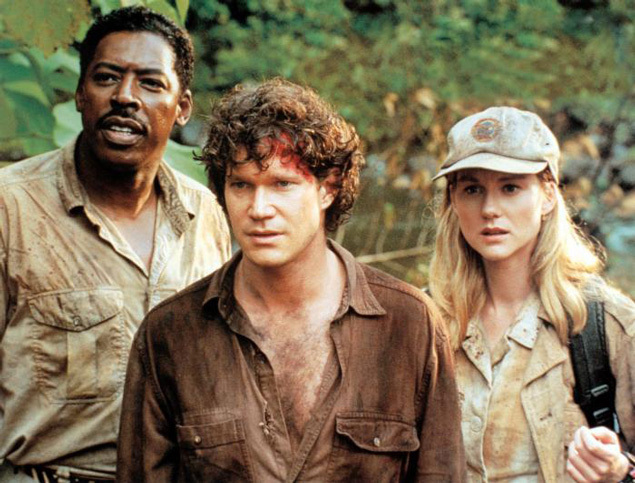 Overall, “Congo” is a pretty dull movie that is only somewhat redeemed by a handful of over-the-top performances. 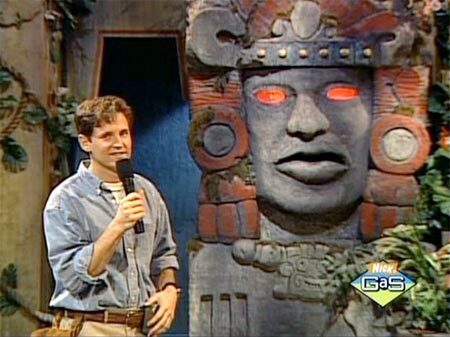 It isn’t good enough to be “Jurassic Park” and isn’t incompetent or goofy enough to be “Anaconda,” and exists in an uncomfortable limbo space in between the two. Realistically, it shouldn’t have been made when it was, and the quality was a costly casualty of a rushed cash-in on the back of “Jurassic Park.” I can still recommend this movie on the strengths of Tim Curry, Bruce Campbell, Joe Don Baker, and the power of nostalgia, but I would be lying if I said making a drinking game of this flick wouldn’t make the experience much easier.